2011 NFL fantasy football blog coming soon! 2011 NFL Season Preview. Part 3 of 9, AFC North: Is the AFC representative for Super Bowl XLV coming from this division? 2011 NFL Season Preview, part 1 of 9: The AFC East, Is this the year for Rex Ryan and the Jets? 2010 NBA finals game 6: What will Kobe’s legacy be at the end of this year’s NBA finals? Actual NFL and NCAA Football Playbooks: This is a collection of NFL and NCAA football playbooks. The first one that appears is the 2004 New England Patriots playbook. They are all old playbooks, but for some teams the playbooks are still somewhat the same. Should we go ahead and engrave this for the Dallas Cowboys? I had planned on having this blog entry of my 9 part NFL blog series posted yesterday, but the job that pays the bills (oil & gas industry) has been killing me lately. Usually the day job doesn’t affect my blogging since I write my blogs in my head and then type them late at night. But this week I have been too mentally whipped to type anything after work. By now you have most likely read part one of my NFL blog series that was about the AFC East. If you haven’t, please go and check it out. It’s worth the read even if you’re not a fan of any of the teams in the AFC East. Today I am going to stay with the east coast theme and discuss and analyze the NFC East. 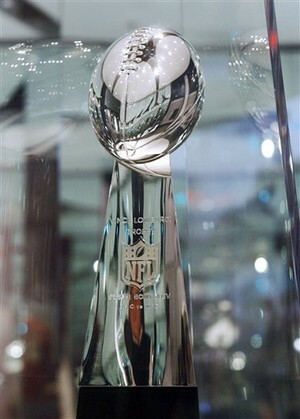 In 2011 expect to see the NFC East uphold that moniker as the “best division in football” as well as “the most physical division in football.” The Dallas Cowboys, Philadelphia Eagles, New York Giants and the Washington Redskins are four teams that no one will want to see on their schedule in 2011. Philadelphia Eagles – As we speak, Philly fan is still applauding or complaining about the Donovan McNabb trade and sitting around wondering if Kevin Kolb is ready to be the starting QB. Some are wondering as to how good the Eagles will be this year with the team going through a transition phase. Don’t worry Philly fan, your Eagles won’t be great, but they won’t be 1-15 bad either. Oh yeah, and to answer the Kevin Kolb question, he is ready. Trading Donovan McNabb was a smart move by Philly. McNabb is good but not great and I think he is a better fit in Mike Shanahan’s version of the west coast offense than he was in Andy’s. 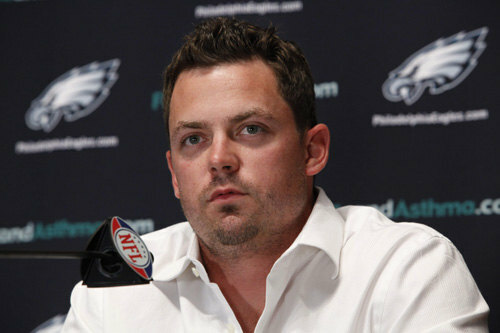 In addition to that, Kevin Kolb is ready to be the starter in Philly and will allow Andy Reid to run his offense properly. Over the past few years, Reid has gone away from the west coast offense to fit Donovan’s ability which wasn’t suited for Andy’s west coast offense. If you watch game film, when Kolb was in at quarterback, the offense became more efficient and ran more like a west coast offense rather than a Air Coryell offense with elements of the west coast offense sprinkled in, which is what Philly’s offense had become with Donovan in at quarterback. The transition from McNabb to Kolb should be reminiscent of when Green Bay went from Brett Favre to Aaron Rogers last year. Green Bay’s offense went to good and effective to efficient and explosive. Speaking of transition, Andy Reid and the GM have done a great job of remaking this roster on the fly in just two years. A lot of people in Philly weren’t too happy about the Eagles draft strategy back in April, but there was a method to Andy Reid’s madness and his draft class this year was great. Philly picked up a lot of quality players in this year’s draft and guys who will make that team even better than it was in years past. Charles Scott is a guy on the offensive side of the ball who I think will drastically improve their running game. Scott is a type of running back that Philly hasn’t had since Andy has been there. Charles is a big, bruising, punishing one cut running back that will bring a physical style of running game that the Eagles have never had but have needed. Wide out Riley Cooper from the University of Florida will also be a great addition to that offense and gives Andy a big wide out to play in either the slot or on the outside like Ed Mc Cafferey did in San Francisco and in Denver. Defensively the Eagles should be better than what they were over the past two years. In the draft they were able to get guys who will bolster up their defensive line as well as improve their pass rush. Brandon Graham is the blue chip stud in their draft class who will be an extremely productive player on defense and wreck havoc on opposing offenses. At year’s end, I am looking for Philly to finish the year at 9-7 if things go right, or 6-10 if things get bad or they lose some close games due to the fact that they are a young team having to learn how to win. Tough games against the Packers, Vikings, Texans, Forty-Niners, along with playing the Cowboys twice equates to the 9th toughest schedule in the league. Washington Redskins – Daniel Snyder finally got tired of losing and decided to stop getting involved in football operations. So he got rid of Vinny Cerrato who was his puppet, and he went out and hired two guys to take over football operations and make the Redskins a winner. One of those guys was Mike Shanahan who had been unemployed for the past year after getting fired in Denver. The other guy was Bruce Allen who is the son of Redskin great George Allen. Bruce was appointed as GM of the Redskins and is the first guy to be named GM since Snyder has owned the team. Shanahan and Allen have brought in years of experience on how to run a football team the right way. Unlike Snyder, they don’t believe in running the team like a fantasy football team. As soon as free agency hit, Washington’s new philosophy on how to operate during the offseason was put into effect by not going after big name free agents as they had done in the past, and they cleaned house of dead weight players. This was because Mike and Bruce were running things, not Snyder. Thanks to Snyder and Vinny Cerrato this team has major issues, but majority of the issues are on the offensive side of the ball. Somehow Snyder and Cerrato were able to get good players on the defensive side of the ball as well as coaches. Mike is known as an offensive genius and his fingerprints will be all over this team. 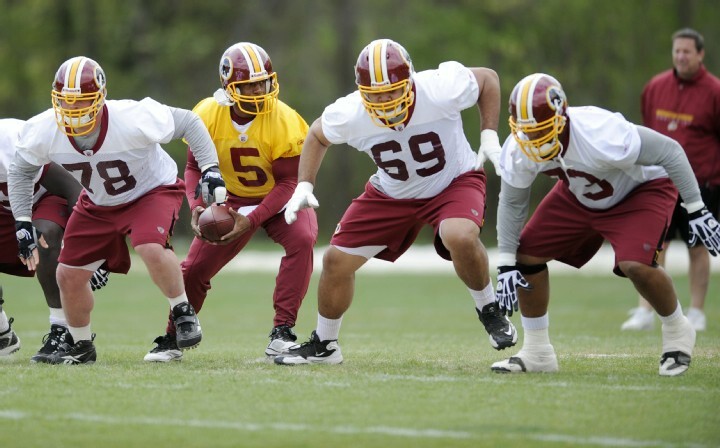 Offensively the Redskins will be a much better team than what they have been in a long time. To help improve the Redskins offense, Shanahan went and stole his son Kyle Shanahan from my Texans to become the offensive coordinator in Washington. If you don’t know how good Kyle is, pull up Houston’s stats over the past four years. The kid knows offense and helped make Houston a top five team offensively every year. Not to mention he made Matt Schaub the top quarterback in the league last year statistically and Pro Bowl MVP. Getting Donovan McNabb from Philly was a great move and one that will make the Redskins a really good team for a long time. McNabb’s mobility is perfect for what the Shanahan’s love to do on offense with the various bootlegs they like to run. Along with his mobility, his veteran leadership will help solidify that ball club immensely. Washington’s running game should be better with Portis, Johnson and Parker splitting time in the backfield and with Mike’s commitment to running the ball. Over the past five years the Redskins have had a top ten defense while running a 4-3 defense. This year the Redskins are switching to a 3-4 defense. They don’t have all of the pieces to run that defense properly, but they have talent and like Green Bay last year who went through the same switch. Talent will be able to cover up for deficiencies in certain areas. If Albert Haynesworth gets with the program, this defense can be dominating up front. Overall I think the Redskins will be a more competitive team and may also compete for a wildcard spot along with the Eagles. I see them either ending the season with a 9-7 or an 8-8 record. The week 12 game against the Houston Texans should be a very interesting game to watch. The teacher Mike Shanahan will be going up against his pupil/former player in Gary Kubiak, and Rick Dennison while Kubiak and Dennison will be going up against their former teacher Mike Shanahan, and pupil Kyle Shanahan. To make a long story short, these two teams will know everything that each other will be doing before they do it. New York Giants – I must admit that out of all of the teams that I get bored writing about, the New York Giants are at the top of my list. Sorry Giants fans. Fact is, the Giants are and always will be a non flashy team with not anything that makes you clamor for news about them. They have even become back page news in their own city now. Watching Giants games can be boring at times and could possibly cure someone of insomnia, especially last year. In 2010 the Giants offense was inconsistent at best. Whether it was through the air or on the ground, New York was pedestrian at times. Brandon Jacobs looked slow and wasn’t as effective as he had been in previous years. When Brandon wasn’t struggling to be effective, the offensive line and Eli Manning was. The loss of Plaxico Burress seriously affected the Giants passing game last year and you could tell that Eli missed his go to guy. Eli, unlike his brother Peyton and a few others, doesn’t have the ability to make others around him better. He needs to be surrounded by good players to make him better. Hopefully New York’s young, talented group of wide outs will be much better than what they were last year and give Eli some help. On defense, the Giants need to figure what they are going to do to stop teams from running the ball on them all day long like teams did last year. Their defensive tackles are just plain bad at stopping the run. They simply couldn’t hold up at the point of attack at all last year. To make matters worse, their defensive leader, middle linebacker Antonio Pierce was released and they didn’t really find a good, proven replacement for him yet. In the NFL, if you don’t have good defensive tackles and a good middle linebacker, you can’t stop anyone from running on you. New York did address the defensive tackle position by drafting Linval Joseph to help shore up their run defense, but you can’t expect a second round pick rookie to be the answer to a poor run defense. Despite their issues on both sides of the ball, they will be a much better team than what they were last year. I don’t expect them to improve much defensively, but we will see what happens. There are surprises every year. I see 10-6 with 8-8 being the worst possible scenario with Tom Coughlin being on the hot seat at the end of the year. Games against the Packers and Vikings could be ugly for the Giants. 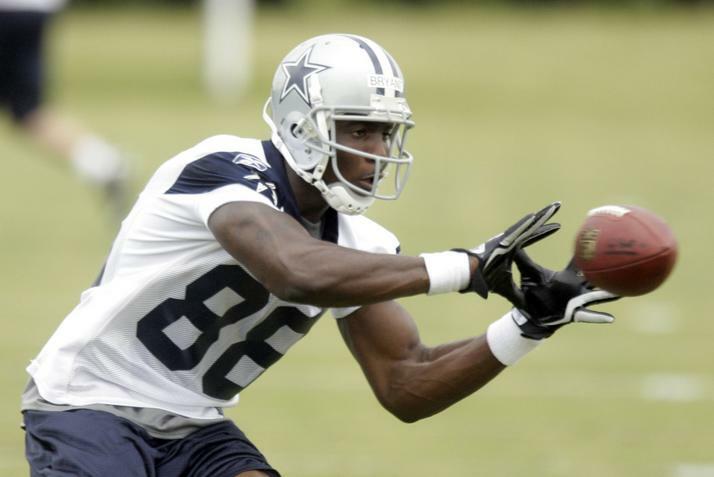 Dallas Cowboys – Last year I and many called the Dallas Cowboys one of the most complete teams in the NFL. In all three phases of the game, the Cowboys are solid and are in most cases, better than their competition. Well, one of the most complete teams in football got better this offseason. The only thing that can stop the Cowboys from reaching the Super Bowl is their inability to put together a complete season. It seems like every season they start the season off fast, get into a funk for about four games, then finish the season well. That needs to be fixed or they will be watching the Super Bowl in Dallas this year and not playing in it. If Wade Phillips can get his team to put together a complete season, I don’t see but maybe two other teams competing with them in the NFC to go to Super bowl XLV. Dallas should become the first team in NFL history to play in a home Super Bowl. Whether it’s with the running game or the passing game, Dallas can hurt a team in many ways. I don’t need to bore you with mentioning the names of the three headed monster rushing attack that Dallas has. Nor do I need to talk about how much more explosive they will become with the addition of Dez Bryant to go along with Miles Austin, Jason Witten and a inspired to improve (thanks to Dez Bryant being drafted) Roy Williams. Some things in life should just be left unsaid. All that needs to be pointed out is that if you are a defensive coordinator not on the Cowboys coaching staff, you have a serious situation on your hands come Sunday. Dallas just simply has a lot of weapons for Tony Romo to use to put points on the board. With Wade Phillips calling the plays on defense, you can expect to see the dominating defense that Dallas displayed in the second half of the season last year. Their one weakness on the defense last year was the secondary. That won’t be much of a weakness this year. Even though the Cowboys have the third toughest schedule in the league, I see them going 14-2 at best or 12-4 at worst. They have several tough games this year starting off with a game in week two against the in state rival Houston Texans. Games at Lambeau Field and in Minnesota in weeks 6 and 9 aren’t going to be cake walks either but will be great games. Then a rematch of last year’s Saints/Cowboys game in week 12 will be one not to miss if you’re a football fan. September 9th can’t some soon enough folks, until then. I will see you guys on Sunday with part three. The AFC North is on deck.